Professional nurses have a duty to continue their education to stay on top of medical advancements, technology, and research. Knowledge is power and never is it so critical as in its implications on patients’ lives. Continuing your education beyond the associate’s degree in nursing will broaden your career opportunities and open the door to specialty careers. More than that, it will improve your ability to make critical decisions, which could lead to positions in leadership. A decision to pursue educational advancement demonstrates your commitment to quality, safe, and expert patient care. The RN to BSN program builds on the foundation of the ADN program and supports the development of advanced collaboration, communication, critical thinking, decision making, leadership, and research skills. Employers have a special interest in making educational advancement available to their nurses. When nurses keep abreast of evidence-based practices and clinical developments, the result is better patient outcomes, and everybody wins including nurses, patients, and employers. Employers support, even encourage, this type of staff development through paid time off, flexible scheduling, and tuition reimbursement to increase job satisfaction and confidence and reduces turnover rates at a time when workforce demand outstrips supply. Rapid changes in nursing have become the norm. Nurses must be prepared to respond to the changes and function competently and safely in the delivery of care. The delivery of care in communities and the emphasis on disease prevention and health promotion can only be met by nurses trained in the areas of public health, leadership, preventative care, and evidence-based practice. Getting a BSN degree doesn’t have to be difficult. There are several models of delivery of the RN to BSN program – most of them are delivered online. Compare programs to find what delivery method that is best for you. Online delivery is the most common format as it lets students balance work and study. Though the program is delivered online, you’ll have opportunities to interact with instructors, evaluate your progress, and engage in practical learning opportunities to improve your clinical skills. The fast-paced, technological-centered environment of healthcare requires nurses who can make critical decisions on the spot and communicate effectively with other healthcare professionals. Professional development is a critical factor for success in nursing, and the RN to BSN program supports this goal through the seamless, online delivery of the program content. The program benefits both new and experienced nurses. 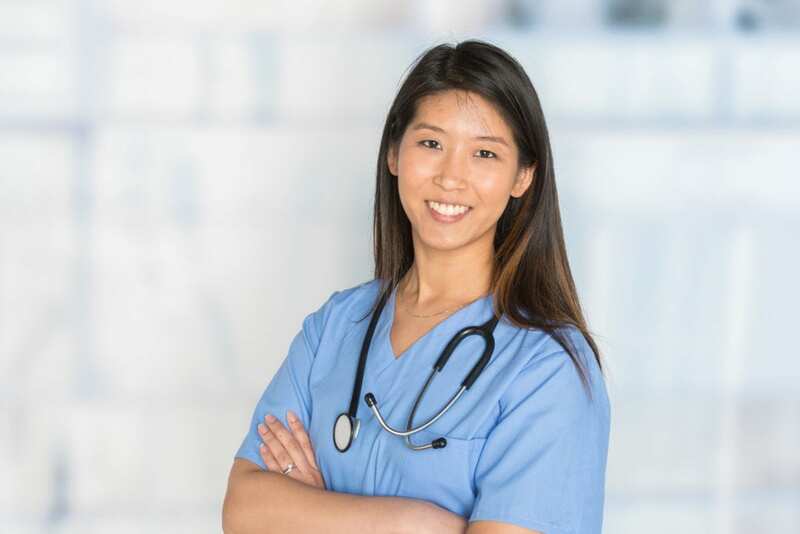 If you’re new to nursing, finding the ideal position may be a challenge as employers exhibit a strong preference for nurses with a bachelor’s degree in nursing. BSN graduates have a competitive advantage over their ADN counterparts. In some cases, they may even have a better chance of employment that experienced ADNs as pressure mounts for highly educated nurses. If you’re an experienced nurse, the BSN will help in your goals to become a nurse leader or pursue graduate study to prepare for specialized practice as an advanced practice nurse. It is essential that you continue learning to keep up with changes in the delivery of care, new treatments and techniques, and trends in nursing. A thriving career can only be achieved through a commitment to improving your skills through lifelong learning. The emphasis of the online RN to BSN program is professional development and specialization to obtain positive patient outcomes and excellence in healthcare. From lower incidences of pressure ulcers and deep vein thrombosis post-surgery to lower patient mortality rates, studies found that BSN nurses provide better care. Though hospitals employers are the ones clamoring for more BSNs, it is clear that nurses prepared with the baccalaureate degree are just as essential in long-term care settings. Aging seniors require complex care involving the use of advanced procedures, high-tech equipment, and interdisciplinary collaboration, which calls for highly educated nurses even in long-term care settings. For positions beyond the bedside, BSNs are better prepared to step into leadership and management roles to provide a safe work environment, lead teams, and make critical decisions. As more studies tie nursing education to patient outcomes, employers, leaders, nursing associations, educators, and policymakers will collaborate to support professional development and increase the BSN workforce. Idaho, like other states, has its fair share of online RN to BSN programs designed to produce professionals who can improve the healthcare system and benefit patients. Since its introduction, the Magnet Recognition program has evolved to reflect new standards in healthcare. Magnet hospitals and those looking to achieve Magnet status have encouraged, even mandated, that their nurses increase their educational credentials to improve the quality of practice. Magnet Recognition requires that nurse managers have a BSN or MSN. The requirement changed from 75 percent to 100 percent by 2013 and left existing nurse managers in a state of bewilderment. Nurse managers practicing on the merit of an associate degree were forced to confront challenges, such as work-life balance and finances, to return to school and maintain their positions. The RN-to-BSN program can be completed in one year and helps students develop the skill sets necessary for managing nursing units. As a student, you’ll understand how to improve healthcare systems, make complex decisions, use nursing research to improve patient care, foster an environment of teamwork and collaboration, assess evidence-based outcomes, and understand health policy. Apart from nurse manager roles, the BSN will pave the way for entry into risk assessment, quality control, care management, public health education, and nursing informatics. Approximately 30 percent of registered nurses dream of enrolling in a graduate program, but only 17 percent actually do. If you’re considering graduate study to dive into specialized care, the BSN is the first step. The MSN and DNP programs prepare students to manage complex issues related to nursing, become experts in their field, and either conduct scholarly research or translate research for use in clinical settings. Though some graduate programs will admit students through the RN to MSN pathway, the majority of students that gain admittance based on their completion of a BSN. Nurses must be prepared to take on changes in the healthcare system. Changing federal regulations and greater expectations from nurses place a weight of responsibility on nurses – who must rise to the challenge and thrive in the new role. Bachelor and masters-prepared nurses are taking over some of the responsibilities traditionally reserved for doctors. The future of nursing hinges on the nurses’ ability to take on these new roles. However, nurses must undergo essential preparation to develop a skill set that goes beyond the borders of basic care. Additionally, nurses must also be prepared to function in primary and preventative care as the focus shifts to these areas. Do you want to increase your earning potential and give your salary a substantial boost? A comparison of the salaries of ADN-RNs and BSN-RNs show that the higher educated nurse can earn $9,000 to $18,500 more than nurses with an associate’s degree. BSNs who move on the master’s degree will command even higher salaries. Those who specialize to practice as an Advanced Practice Registered Nurse can earn an annual salary of $106,775 and more. The point is that the BSN has the potential to be personally, professionally, and financially rewarding. The additional coursework will expand your view of nursing, rekindle your passion for the profession, and take your practice to new heights. The RN to BSN curriculum is designed for registered nurses to enhance their critical thinking, leadership, and communication skills. The transition program removes barriers to continued learning as students can transfer credits and complete the requirements for a BSN degree in five semesters. Online delivery of the theory meets the needs of nurses who need to balance work and family commitments with study. The program will require participation in the clinical experiences – that may be conveniently arranged in a suitable geographic location. Tuition for full-time or part-time students enrolled at Idaho State University is $3,583 per semester for 10 to 12+ credits. Students completing 9 credits or less will pay $359 per credit. Additional costs for books, fees, and supplies must be added. Financial aid packages are available to eligible students.